Just a very good way to start up the year! Fast rising African sensational Afropop and Rnb singer Donni “Donald Nelson” signed to Pro Nation Music is back with with yet another hit tune tittled ”Pepper” featuring Ghanaian star and Uptown Energy Act,Pono Biom and Produced by Keylex. “Pepper” is the first official single by Donni this 2018, after the massive success of his last Single Everyday, produced by D-Tunes. 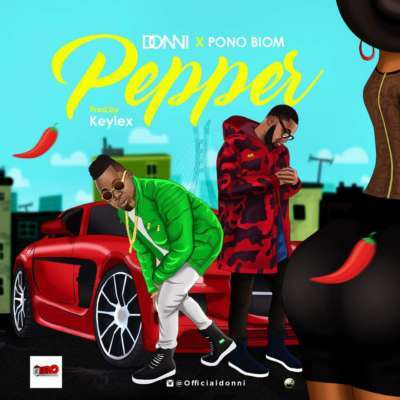 Hey Buddy!, I found this information for you: "Donni – “Pepper” f. Pono Biom". Here is the website link: https://360kwado.com/donni-pepper-f-pono-bio/. Thank you.